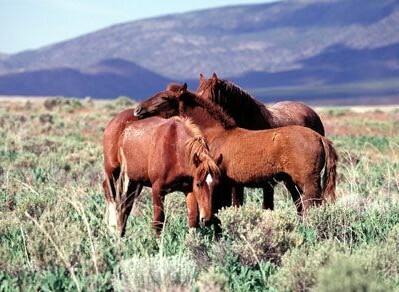 To visit the Bureau of Land Management Wild Horse and Burro Web-site click here. 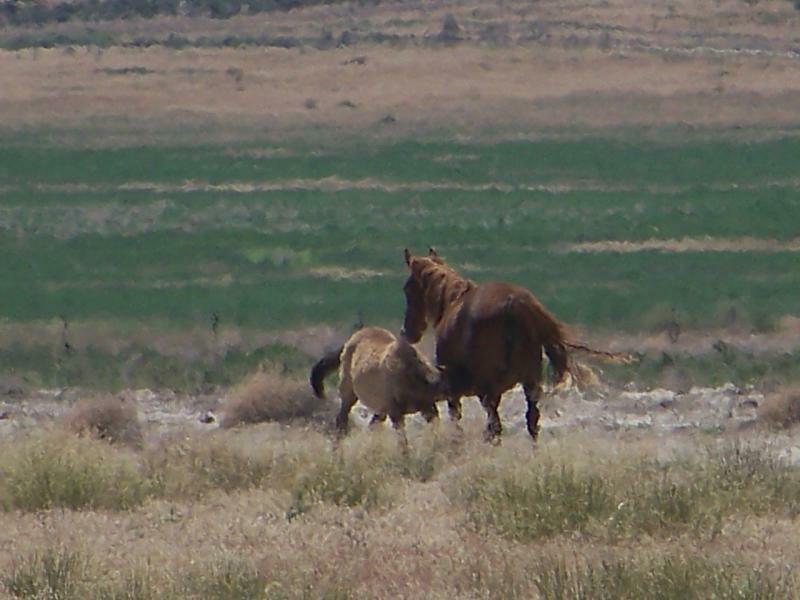 To view the Bureau of Land Management Wild Horse and Burro Program adoption schedule click here. To view and download a copy of the B.L.M. Wild Horse and Burro adoption application click here. Click here to visit the B.L.M. Online Adoption page. IF YOU GET A "CANNOT DISPLAY THE WEB PAGE" MESSAGE FOR THE INTERNET ADOPTION, CLICK HERE FOR INSTRUCTIONS. To view the complete list of Bureau of Land Management offices nation wide click here. The Bureau of Land Management has issued a new format and look for their Wild Horse and Burro titles begining 2015. Below you can view the new titles front and back by clicking on these links. Knowing and understanding the B.L.M. adoption requirements are of the utmost importance. They are designed to make sure that you and your adopted animal are safe. Please remember,no ramp load trailers. PLEASE BE AVDVISED. These are wild animals. You will not be able to lead them. You must be able to back your trailer to your corral and offload your horse or burro directly into it. To view the complete document of the B.L.M. Adoption Requirements click here. You may not sell, trade, offer at auction, or give away your Mustang or Burro until you have recieved title. You can also contact the B.L.M. Field Office that managed the adoption you acquired your Mustang or Burro from. The B.L.M. will make arrangements to have the animal(s) picked up from your facility. For those of you with older titles (1971 to 2011) be aware that your document is still valid. Click on the links below to view the old BLM titles front and back. For those of you that had your Mustang or Burro titled between 2012 and December 2014, your document is also still valid. Click on the links below to view these titles. For people who are in possession of previously titled BLM Mustangs or Burros, but do not currently hold the animals original title, you can obtain a BLM Letter Certifying Title. Contact your nearest BLM Office for information on how to acquire this letter. See the list of BLM Offices on this page. To view the BLM Letter Certifying Title click here.